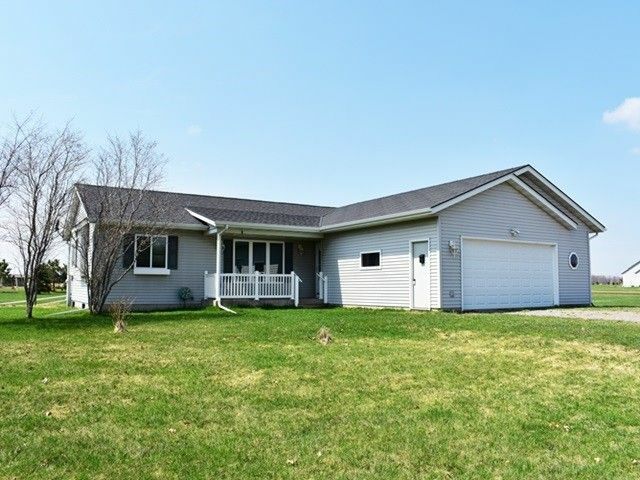 Awaiting Your Arrival is a picturesque 3 bedroom, 2 bath, one story home on 2.7 acres minutes west of the city. This country feel home features a vaulted ceiling in the living room, bright kitchen w/appliances included and breakfast bar open to the dining area. Master bedroom has walk-in closet and the master bath has seated shower and heat lamps to take the chilly edge off. Ready to finish insulated lower awaits your specific use design. Directions: Hwy 13 N, W on Mann Rd, E on Oakbrook Ct to home on left.